A Global Leader In Plant Pathology & Genetics Testing Services. Established in 1992, CSP Labs is an NSHS (National Seed Health System) accredited testing laboratory. Our staff of world-class scientists, highly trained technicians, and state-of-the art infrastructure enable us to provide rapid and advanced services to our customers. CSP Labs has been providing seed health testing since its inception. We provide several seed health (seed pathology) tests across many vegetable seed crops. We provide plant health testing on both symptomatic and asymptomatic plant tissue and are able to test for a wide range of pathogens (viral, fungal, and bacterial). Our pathologists can also provide a consulting services to help develop or support quality control strategies for clean plants. Our soil health lab can test soil samples for fungal pathogens and a variety of nematodes that may spread disease in the field. We provide high throughput genotyping services on seed and plant samples. We have developed a large database of markers to assign your varieties unique profiles to assist in breeding, hybrid purity testing, and intellectual property (IP) protection. CSP Labs’ Seed Extract PCR test for BFB is now available and accredited by NSHS. We now offer multiple service levels at varying costs to meet customer needs. Learn more. To view our full list of tests see the Service Catalog. Meet our staff, learn more about CSP Labs, and our history. Not only are we experts at running time-tested methods, we’re always pushing the science forward with the development of new methods. Talk to us to learn about the various methods we can use and what’s best for the job. At CSP Labs we’re scientists and engineers. Wherever possible we’re building tools and automation to get results to our customers faster and cheaper. The scientists at CSP Labs are part of the international industry organizations that set the standards for seed health testing (International Seed Health Initiative), and have leadership roles in various national and international plant pathology initiatives and committees. We take pride in contributing what we can and steering where we can. Our customers can access their results online using myCSP the CSP Labs customer portal. Customers can also see estimated dates, any updates, and other attachments and information related to submitted orders. While we strongly believe in building or adopting new technologies to improve our services, we never compromise on the human factor. 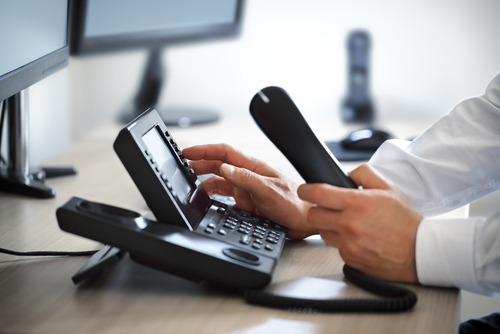 Any time you call us you’ll be connected to someone on our team and directed to the right person to answer your questions. We provide multiple service levels and volume discounts to accommodate our customers’ needs. Contact us to learn more about 5-day, 10-day, and no-rush service levels and how they factor into high volume pricing.